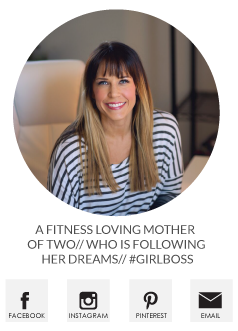 Skinny Meg: Closing a Chapter - our switch to Formula. I decided to close the last chapter in my breastfeeding journey for several different reasons. Mostly it just was causing undo stress on me and in turn everyone around me after I went back to work. Pumping at work was really not a problem, it was more the rest of the hours in the day. Aiden was only awake for about 2 hours after I got home and started to sleep through the night most of the time, which meant painful hours of engorgement. Several nights I spent trying to wake him up enough to nurse because I couldn't sleep though the pain and I usually left my pump at work so I wouldn't get caught there without it. After a few weeks of this I just decided that we were done. I did feel some Mommy guilt, I nursed Madison for over 9 months and thought Aiden deserved that too, but our situation is just much different so it's not fair to compare. Knowing that I would be going back to work at 12 weeks I made the decision to have him taking at least 1 bottle of formula a day from the very beginning. I wasn't very formula 'savvy' as it's been years since I've even had to make a bottle - not gonna lie we had to google tips. Nationally-syndicated pediatrician Dr. Sue Hubbard, “The Kid’s Doctor”. 1. Figure out your lifestyle needs and which form of formula will support them: Infant formula generally comes in a variety of forms, and figuring out which one works best for you depends on a few factors. 2. Understand the ingredients: While the FDA regulates all infant formula, that doesn’t mean that all brands are the same. Understanding the makeup of infant formula will help you select a brand that is best for your family. 3. Be mindful of your water source: The type of water you have access to may affect the type of formula you want to use. 4. Watch and learn: The best way to know if a formula is right for your baby may be easier than you think. 5. Consider your baby’s age: As babies grow and solid foods are introduced, consider a formula designed for older babies. I wasn't even sure if you could use tap water or if you were supposed to use bottled?? 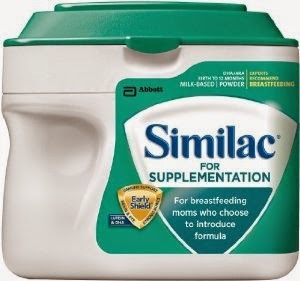 After standing in the formula aisle for a good 15 minutes I decided to go with Similac because I liked that they had a supplemental type for breastfeeding moms. We had great success using this one for the first 4 months, it never upset his stomach and we never had any reflux issues. Now that he's completely on formula we've switched to the Similac Advanced. His cute Droolzies is a lifesaver - teething like crazy! It's taken some adjustment for me too, I now have to remember to actually pack him food when we leave the house, but overall I would say that everyone is happy and that's what matter most. Happy mommy = happy everyone else! He looks healthy and super chunky and adorable, and that's all that matters! :) I tried pumping and stuff, too, after I returned to work and it was just too much. When I found myself pumping out by a dumpster in my car before an appointment (I was a wine rep at the time), I was just like THIS IS CRAZY. Some people can handle it...it was driving me nuts. I cried when we stopped, but the baby didn't miss a beat. It was the best decision for us, and I never looked back! I wasn't producing enough, even with fenugreek and pumping in between feedings, and at 3 weeks, we had to switch to formula because my girl wasn't getting enough to eat and had dropped too much weight. She fattened up nicely and is now a smart, bubbly two-year-old! I, however, still feel some twinges of guilt, but hey, she's healthy so I'm happy. We switched between Enfamil and Similac. 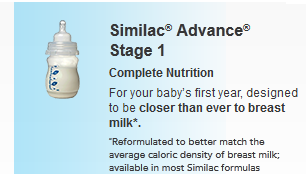 I had so much of a struggle with breast feeding and had to switch to formula very early and we loved similac. Hey, happy mommy, happy baby. :) He looks healthy and happy and so do you. I am experiencing mommy guilt right here . . . we are leaving for Florida in September and leaving Caydee (will be 7 months) at home so I will have to ween her by then . . . it's killing me! Whatever is best for baby and you! I was unable to BF, no milk, I literally pumped blood and dust. Both my boys were fed formula and are strong and healthy!